Thank you for your work and passion towards making the world a better place and thank you for considering us as a partner in that goal. We LOVE to help our community. It’s practically why we started this company in the first place — revitalizing Center Ossipee is a huge goal for us. We receive more requests for donations, silent auctions, tastings at charity events etc. than we can count. In our efforts to streamline things and scale our ability to help as many people as possible, we have created a system to help us help each other. If you are seeking a monetary donation, our apologies, we do not currently make financial contributions to organizations. 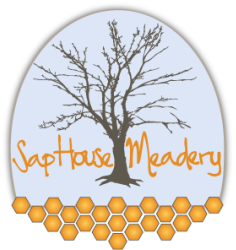 We simply can’t afford to donate to every cause that tugs at our heart strings or we would very soon have no more money to make wonderful mead and continue our mission. If you are seeking an in-kind donation, we offer a gift certificate that you may raffle, auction, give away, or whatever you would like to do. Simply fill out this form and, as long as what you are doing jives with our vision of improving the world, we will email you a copy of the Certificate that you may do with as you wish. PLEASE NOTE: We can only supply this certificate to certified, tax-exempt organizations like 501(c)3s.